Finland holiday cottage. 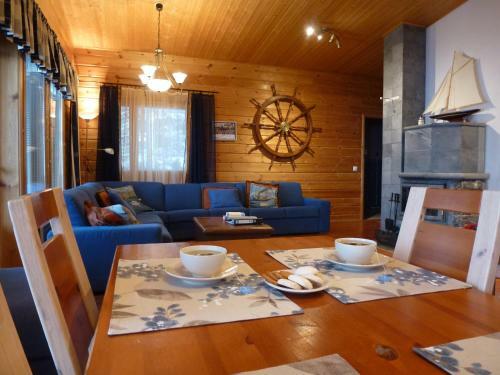 Offering a private beach area, Larus Vuokatti Cottages is located in Vuokatti, a recreational destination year-round. These self-catering accommodations are just a minute away from the lakefront. Free WiFi access is available in these timbered lodge stays. You will also find a fireplace, flat-screen TV and satellite channels. There is a full kitchen with a refrigerator and coffee machine. Other amenities include a terrace with outdoor seating and a private sauna. At Larus Vuokatti Cottages you will find barbecue facilities. You will also have access to ski storage and bicycle rentals. Many outdoor activities can be enjoyed in the surroundings throughout the year including skiing, cycling, swimming and fishing.